I duly had your telegrammeSee telegram of February 23, 1930. saying that you did not want the tapestries. I really sent the photographs par acquit de conscience,“To be on the safe side.” as you and Robert had told me you wanted two Gothic pieces, and such things have become so rare and so frightfully expensive that these did seem to be rather a bargain from the point of view of price. At the same time, I dont think that I, if I were in your place, would want to buy them. a) the Leopold SeligmannLeopold Seligmann, a German collector in Köln. collection, of Cologne, which is going to be sold in Berlin on the 28th and 29th of April.See Paul Clemen, Otto von Falke, and Georg Swarzenski, Die Sammlung Dr. Leopold Seligmann, Köln (Berlin: Hermann Ball–Paul Graupe, 1930). 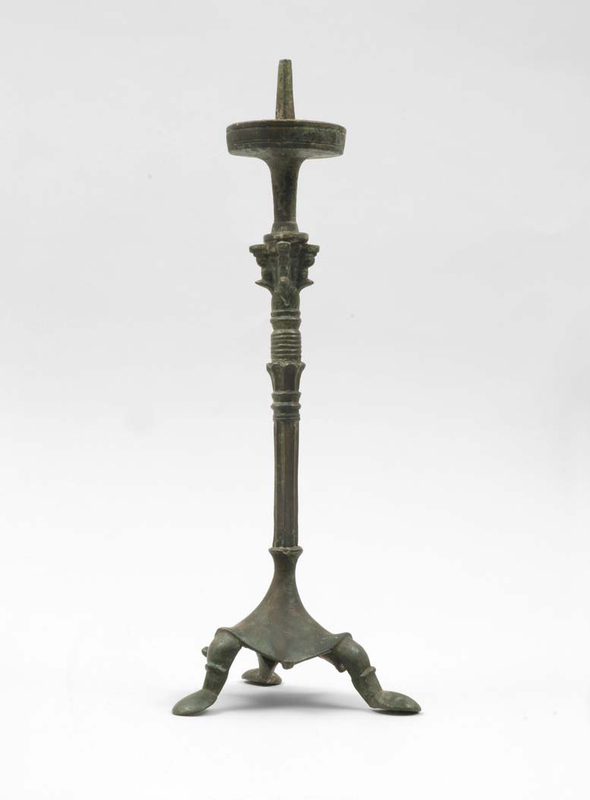 The Blisses would acquire an Early Christian bronze lampstand (BZ.1930.5) from this sale. I have only seen a sort of prospectus so far, but it contains pretty good reproductions of a number of very fine objects, Byzantine, Barbarian, Romanesque and Gothic. I am taking steps to get the complete catalogue, so that you may see it when you arrive here. There are certainly several things in this collection to which I would draw your attention. b) The Persian pottery and manuscripts of the DoucetJacques Doucet (1853–1929), a French fashion designer and collector. collection are going to be sold sometime this spring.See Collection Jacques Doucet: Céramiques d’Extrême-Orient, bronzes, sculptures, peintures chinoises et japonaises, laques du Japon, faïences de la Perse, de la Transcaspie et de la Mésopotamie, miniatures persanes, vente du vendredi 28 novembre 1930 (Paris: Impr. Lahure, 1930). 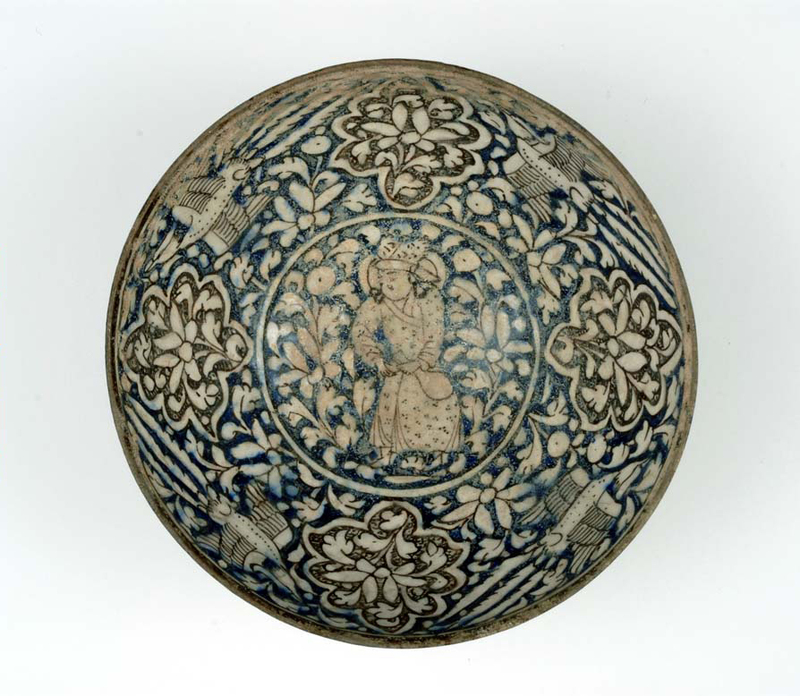 The Blisses would acquire a Persian bowl (BZ.1930.11) from this sale; see ibid., p. 27, no. 85, pl. 23. I do not yet know when the sale is coming off. The Doucet Sultanabads are exceedingly fine and I think you might want to try for some of them. Prices here have been affected by the slump on Wall Street, and though I cannot say I have seen any really good pieces of Persian pottery going cheap, there have been some sales at which fair stuff of the second order has fetched very low prices indeed. I am afraid that the Doucet collection will draw many people dealers and collecters, but one can’t be sure beforehand there will not be some remarkable bargains. I was delighted to get your letterSee letter of January 6, 1930. sent just before you left Argentina, and I am immensely looking forward to your arrival here. When you know exactly when you are going to arrive in England mind you let me know, and I will try to go over there to see you. I think Fettich will be in London, helping to arrange our ‘Dark Ages’ Exhibition at the Burlington Fine Arts Club.Art in the Dark Ages in Europe (circa 400–1000 AD), an exhibition at the Burlington Fine Arts Club, London, in 1930. See Reginald A. Smith, “Art in the Dark Ages,” The Burlington Magazine for Connoisseurs 57, no. 328 (July 1930): 3–10. We are borrowing him as well as a lot of the best things from the Budapest National Museum and some provincial museums in Hungary. I don’t at all know who the German is who wrote to you saying that he was demonstrating the authenticity of certain antique pieces of silver, which had been attacked. I also had a communication from him, couched in the same ludicrous English. I suppose he is proposing to demolish poor old Wilpert,Josepf Wilpert (1857–1944), a German art historian and scholar of Early Christian art. who really is not worth powder and shot. I never heard of anyone taking him seriously, except Professor MoreyCharles Rufus Morey (1877–1955), an American art historian, scholar of Early Christian art, and long-time professor at Princeton University. and the ‘Art Bulletin’The Art Bulletin, the publication of the College Art Association in the United States. Begun in 1913, The Art Bulletin publishes scholarship in the English language in all aspects of art history as practiced at colleges and universities, museums, and other institutions. people, none of whom, apparently, have ever seen an object, and only work on photostats. Hayford is in Bangor (Maine), but is working away at the book,L’art byzantin. as I am also at this end. We hope to have it ready by the time the Byzantine Exhibition starts in the spring of next year. I think Bill will be here in April: in fact we will make sure of having him here when we know your date.For William Royall Tyler’s trip to Austria following his illness, see letters of September 18, 1929; October 12, 1929; October 23, 1929; December 28, 1929; and February 10, 1930. He has made magnificent progress this winter. The Doctors in Vienna say they are astonished, and the Doctor who had him in hand here last autumn is equally enthusiastic on the strength of the last radio photographs taken in Vienna. Bill also appears, from what our friends in Vienna say, to have learned to speak quite tolerable German, and he has had quantities of very good music, so he has not wasted his time in Austria. Indeed I suspect that he has used it to much better purpose than he would have done at Oxford. Our present plans are for him to go up to Oxford and matriculate (merely a ceremony) at the beginning of the summer term, then, after a couple of weeks with us here in April, go back to Austria until about the end of the summer term, when he will go up to Oxford again just to take an examination, the passing of which would mean that he could start fair next autumn reading for his final schools. In London, you will find Eric Maclagan in the throes of organizing his exhibition of mediaeval art in England, which is to be opened in May.See Exhibition of English Mediaeval Art, 2 vols. (London: Victoria and Albert Museum, 1930). Eric Maclagan signed the copy of the catalogue that is presently at Dumbarton Oaks. When you go to the South Kensington, be sure you make them show you my capital,See also letter of July 24, 1929. Capital with the Sacrifice of Isaac, Romanesque, ca. 1150, limestone, Île-de-France, Victoria and Albert Museum, London, acc. no. A.6-1968. which I have left on loan there. It has now been entirely cleaned of the mortar with which it was smeared, and, judging by the photographs that have been sent to me, is very beautiful and very well preserved. I see in the papers this morning that the Landsdowne [sic] collection of antique sculpture,See Catalogue of the Celebrated Collection of Ancient Marbles, the Property of the Most Honourable the Marquess of Lansdowne (London, 1930). which was sold in London yesterday, fetched unexpectedly low prices, except for one piece which brought £27000, and which appears to have been bought by Brummer, it is suspected for the Metropolitan Museum.See Gisela M. A. Richter, “A Fragment of a Greek Stele from the Lansdowne Collection,” Metropolitan Museum Studies 3, no. 2 (June 1931): 147–57. An important book has just appeared: ‘Byzantinische Antik’ by Leonid Matsulevitch [sic],Leonid Antonovich Matzulevich (1886–1959), a Russian Byzantine art historian and curator. See Yuri Pyatnitsky, “An Imperial Eye to the Past: Byzantine Exhibitions in the State Hermitage Museum, 1861–2006,” Tyragetia, s.n., 5 (20), no. 2 (2011): 8–9. a curator of the Hermitage Museum.Leonid Matzulevich, Byzantinische Antike: Studien auf Grund der Silbergefässe der Ermitage (Berlin and Leipzig: W. de Gruyter and Co., 1929). It is in German, and published by de Gruyter, Berlin. 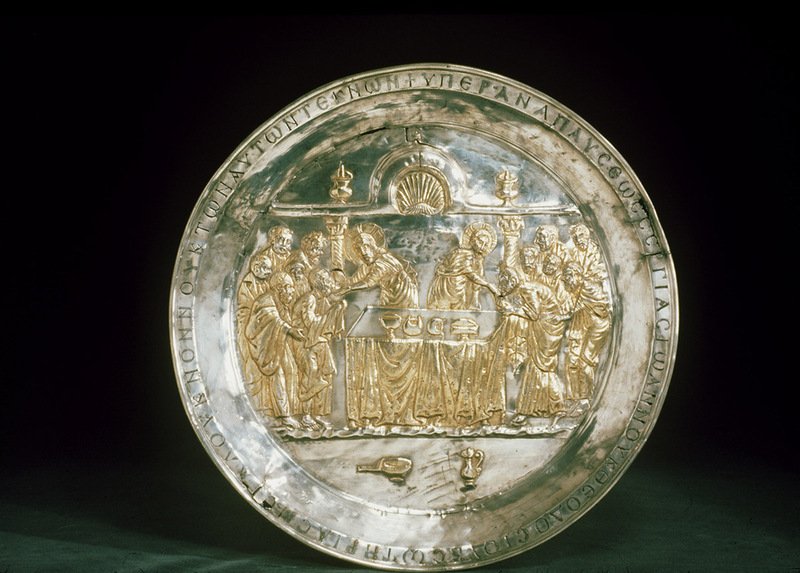 The subject of the book is a group of silver vessels with Pagan reliefs on them and bearing Byzantine hall-marks, most of which are in the Hermitage though there are a few in Vienna and Paris. 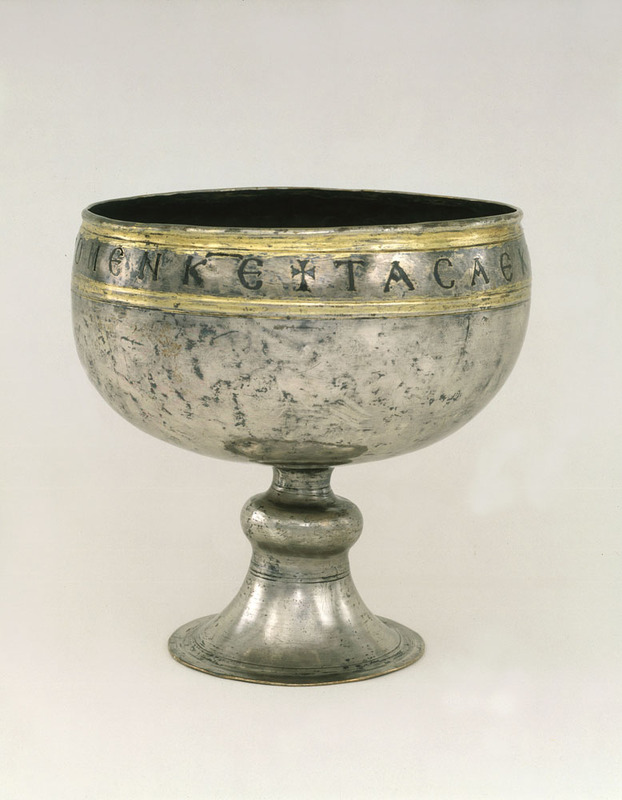 It has been generally assumed, on the strength of the Pagan reproductions and the more or less antique style, that these vessels were made in the second or third centuries, and that the Byzantine hall-marks, which bear the names of VI and VII century Emperors, were stamped on later. Hayford and I, purely on grounds of style, had long since come to the conclusion that these objects were made in the VI and VII centuries, and that the hall-marks were put on at the time of their making. Matsulevitch now produces what seem to me to be irrefutable arguments demonstrating that the hall-marks were in all cases stamped on before the silver vessel was completely finished: e.g. before the repoussé relief was made. He points out that the hall-marks, on repoussé pieces, follow the undulations of the metal in a manner that could not have been produced if the marks had been stamped after the relief had been pressed out. It is very important and interesting to have this confirmation of a conclusion which we had reached on other grounds. Matsulevitch mentions your paten, incidentally of course, because the subject of his book is silver with Pagan representations. He has got it into his head, I know not how, that your paten has no hall-marks on it, and on this erroneous assumption he builds up a complete theory as to the location of the ateliers where Byzantine silver was produced: namely that the pieces with antique subjects, and hall-marks, were made in Constantinople, and that the pieces without hall-marks, and with Christian subjects, destined for liturgical purposes, were made in Syria. Of course, the fact that your paten and my chalice, both of which were found in Syria, both have hall-marks, destroys the basis of this theory. I am sending Matsulevitch photographs of the hall-marks on the two Riha pieces. It is a pity he did not communicate with us before jumping to the conclusion that there were no hall-marks on the paten. He might have spared himself the ridicule of writing several long-winded chapters based on a false assumption. I am afraid he may never get my letter, as most of my attempts to correspond with Russian archaeologists have proved fruitless, but one can only try. Elisina is quite well again, though she still gets tired rather easily. She is at Antigny looking after spring planting—just for a few days.